As Summer finally settles in at Jedwards headquarters, we are free to think of warm weather, bright flowers, and ripe fruit. At Jedwards, our bulk fruit oils reflect the lightness and nourishment inherent in Summer air. Interestingly, our favorite summer oils—raspberry seed oil, peach oil and cherry kernel oils—come from the same family as our extremely popular sweet almond oil. Raspberry oil is very high in Omega 3 and omega 6 fatty acids, making it popular for skin products, bath oils and even tooth paste. Like almond oil, its emollient properties make it a great carrier oil; even on its own it creates a healthy lipid barrier for the skin. In a further nod to the sunshine, raspberry seed oil has also been shown to have natural SPF and has emerged as an ingredient in sunblock and sunscreen (it takes some chemical expertise to be able to derive the SPF from the oil). The berry itself ranks among the ‘superfoods’, bursting with antioxidants and fiber; but we at Jedwards love the oil for its fatty acids and vitamins A and E. It’s a perfect, light oil to add to your skin care routine in the coming months of sunshine! (Do also try our natural raspberry exfoliant, a gentle, effective addition to any scrub). Cherry kernel oil is another stable, emollient oil that is high in oleic acid and rich in vitamins A and E. The oil can be used in skin care products, for soap making and even in salad and cooking oils. Its light, moisturizing properties also make it popular in lip balm, body butter, massage oils and scrubs and soaps. 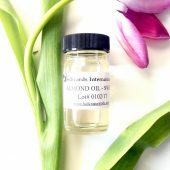 It shares properties with its cousin almond oil, as well as peach kernel oil, another bulk wholesale oil carried by Jedwards. Peach oil is perhaps the most popular with handmade soap makers. It is a delicate oil that is extremely non-greasy and therefore favored by more sensitive skin types. Its light qualities also make it particularly popular for hair care products, as it is easy to wash out and doesn’t weigh hair down, yet coats the hair shaft in a conditioning embrace. It is effective as an emollient and as a carrier oil; and is very simple to use for beginners making their own hand made creams, lotions, massage oils and lip balms. Our bulk wholesale fruit oils are gentle and versatile, perfect for your summer formulations. They are all rich in Vitamins A and E, and in antioxidants. They all excel in moisturizing roles and as raw ingredients for soap making and cosmetic formulation. Please visit their pages for more information and an opportunity to buy one of these superb oils for all of your skin care needs at our usual bulk wholesale prices!